…court is in session! 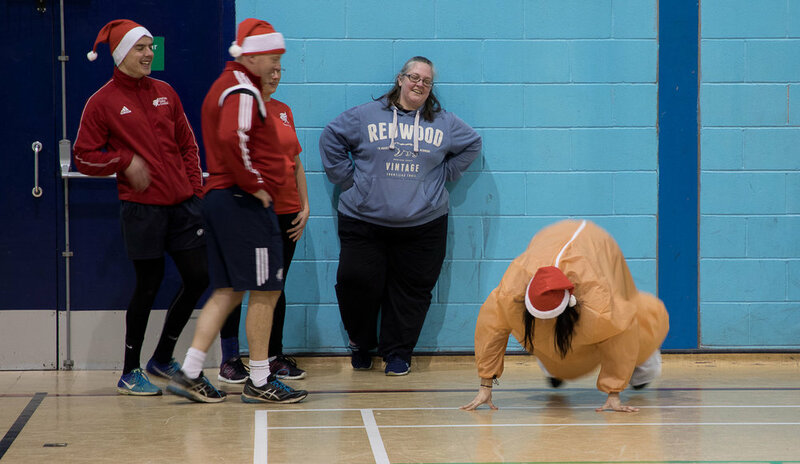 Sporting Family Change recently hosted a fun Basketball social for our triathletes as we continue to work towards the Westonbirt Triathlon in May 2019. The December meet-up was a great chance to see how everyone was progressing since our swimming event a month previous. Alike to the November event, the session was fun focused as we ran through a series of drills, shot some hoops before finishing on a match! Whilst the two meet-ups thus far have been relaxed we intend to really ramp up training in the New Year to ensure everyone is race-ready, but for now let’s chill and indulge in the festivities as much as our human-sized Turkey did at the Basketball social. Great work and see you in the New Year, triathletes! Newer PostAn Intense SFC Spin Session held for our Triathletes! Older PostSFC Spread some Christmas cheer with St. John's Residents!